We all know that success hinges on trust that your software will be stable, reliable, and will grow with you. You want to have the confidence that your marketing software can impact your top and bottom line. You want to have a deep understanding of your customers and leads, and you want to have it all accessible right now. RICH CRM makes it quick and easy for you to automate your marketing efforts to convert leads, grow sales and save time. RICH CRM helps you set up automation for your entire business. 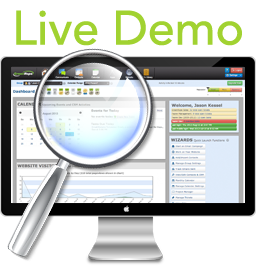 A RICH CRM account includes all of the tools you need for one low monthly price. In addition to CRM and email marketing, your RICH CRM account includes project management, CRM, event management, website analytics and more. ELOQUA is a good automation, lead management, and marketing software. However, for the amount you are spending per month with them you should have access to a more complete suite of features, such as a CRM and other tools.